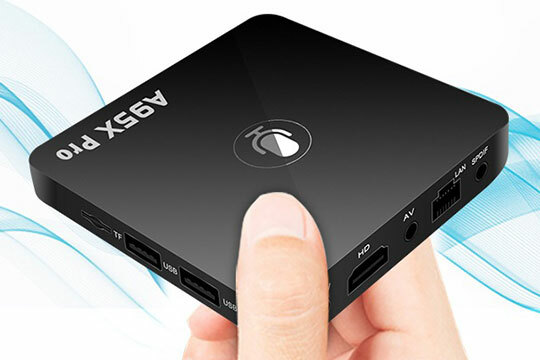 A95X PRO Android TV Box looks very similar to the square-cube with a rounded design. This masterpiece is manufactured from a solid material such as ABS plastic that makes it extremely strong in nature. The design of this device is so versatile that it perfectly matches with any kind of smart TV settings you have in the room. When it comes to media resolution, A95X PRO Android TV Box features 4K resolution, courtesy to the availability of high-resolution signals televisions. The configuration of this device is so perfect to offer you professional image experience along with super fast speed. 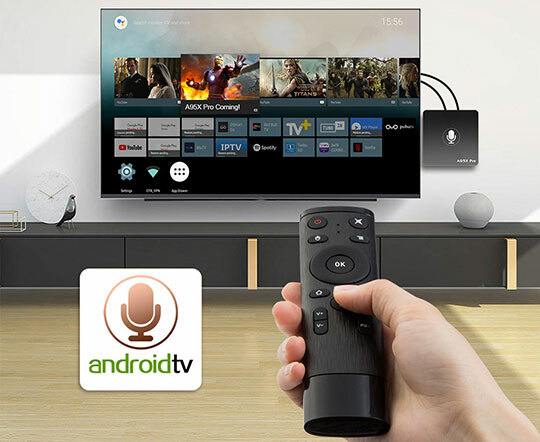 This unique device brags about Android TV OS that features outstanding performance. H.265 decoding consumes less bandwidth than other kinds of decoding capabilities. All this exceptional design specification is well enough to transform your TV into an ideal device. The Amlogic S905W processor along with Mali-450 Penta-core GPU and 64bit CPU makes this device compatible with 4K UHD contents. The combination is so perfect to take care of 4K graphics. The device brags about eMMC 16GB and DDR3 2GB RAM that contributes to the highly elite experience. Most of the latest media boxes of today’s time support video playback of 1080P, A95X PRO Android TV Box has really gone one level higher. It can easily play any 4K content that you are looking forward to playing on it. With such a top level of hardware configuration, this device stands out when it comes to important parameters such as reliability, security, performance, flexibility, and value for money. You may like: The SJCAM SJ8 Pro 4K Wi-Fi Action Camera Review [Presale Started]. 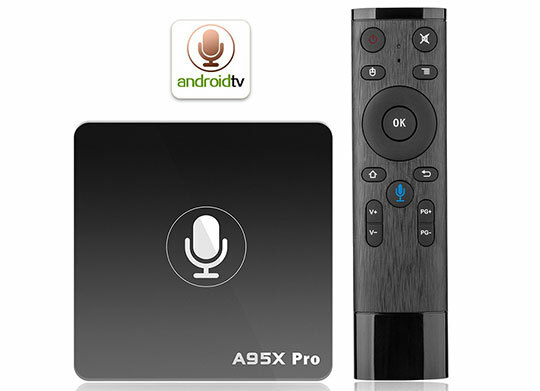 A95X PRO Android TV Box comes with a unique ability to listen. The only thing you need to do is talk near the voice control. It will automatically search for what you have asked. A user can ask TV anything from latest news to list of action movies and from current weather to latest score. The 4K Ultra HD streaming feature of A95X PRO Android TV Box gives you an awesome television experience with premium picture quality. On the virtue of 16GB ROM, 2GB RAM, and quad-core processor, this device offers a lighting fast streaming, uninterrupted gaming, quick search results and responsive interface. Watch any movie or video of your choice through an access to YouTube, Hulu, and Netflix. The TV box can play different formats and show amazing efficiency in Kodi as compared to other set-top boxes. It supports 5.1 sound output which is ideal to get a soothing yet convincing sound. A95X PRO Android TV Box features Android 7.0 operating system that offers amazing stability and top-quality user experience. The device supports the wireless standard of 802.11 b/g/n. In the combination, 802.11b offers bandwidth of 11 Mbps, 802.11n provides a bandwidth of 150 Mbps while 802.11g delivers bandwidth of 54 Mbps. The whole package weighs 0.2920 kg that comes with a size of 9.30 x 9.30 x 1.50 cm (L x W x H). On the other hand, the product weighs 0.0770 kg that comes with a size of 18.50 x 12.70 x 5.00 cm (L x W x H). The entire package contains everything that you need to run A95X PRO Android TV Box with smoothness. Along with the main device, you will get Voice Remote Control, Power Adapter HDMI Cable and English manual in the package. The voice remote control facilities a hand free operation and it can be powered by AAA batteries which you need to purchase from an external source. You may also like: HUAWEI P20 Pro Smartphone Feature Review – All You Need to Know. 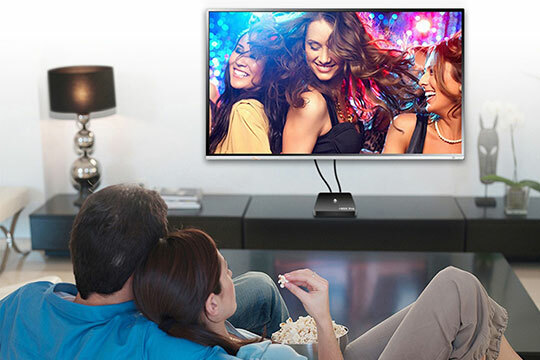 If you are true movie lover then A95X PRO Android TV Box offers you an ideal entertaining experience. Whether it is software or other value-added features, the box has got everything you can expect from a modern generation TV box. The device is available for purchase on GearBest with a limited discount offer. 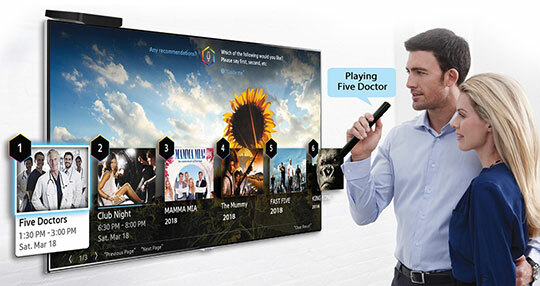 If you are true movie lover then A95X PRO Android TV Box offers you an ideal entertaining experience. Whether it is software or other value-added features, the box has got everything you can expect from a modern generation TV box. Don’t waste your money we have four of these boxes in my family and all freeze up and start making a loud sound or get so hot they turn themselves off! They have to be unplugged and re-plugged back into the outlet at least once a day if not twice!